A Feminist In The Family. The Partridge Family. I literally just rocked back and forth at my desk saying “Oh my God” while watching this. 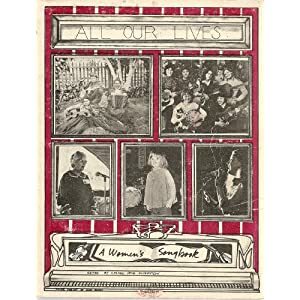 It is especially intense because just this morning I was reading about The New Harmony Sisterhood Band who did in fact create a Women’s Songbook which is available on Amazon. I KNOW! I AM BASICALLY DEAD FROM THE FANTASTICALNESS. I am firmly convinced that women’s culture is revolutionary. It was published by Diana Press on January 1st, 1976. ALL CAPS AGAIN. Also: Hale, who says she was the only straight woman in the group, was working as a welder by day and then going home to her feminist singing group at night. IT IS LIKE AN ECLIPSE UNTO ME. Someday finding these nuggets of revolution won’t be as exciting but for now, I enjoy the marvelment. The other completely awesome thing is that this originally posted on Kathleen’s blog at 2:30 am.